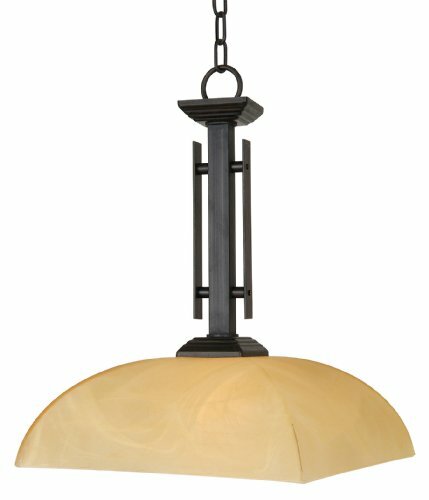 95521R-1SN Finish / Glass Shade: Satin Nickel / White Frosted Shown in venetian bronze Features: -One light mini pendant.-Available in white frosted or parchment glass shade.-UL rated. 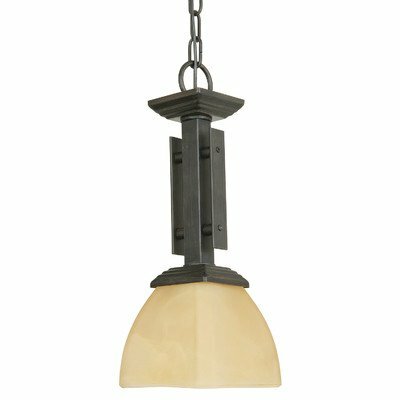 Includes: -Includes decorative chain and canopy. Options: -Available in satin nickel finish or venetian bronze finish. Specifications: -Accommodates (1) 100W medium base incandescent bulb (not included). Assembly Instructions: -Assembly required. Dimensions: -Overall dimensions: 41.5'' H x 5.5'' W x 5.5'' D. Collection: -Half Dome collection. Warranty: -Manufacturer provides 1 year warranty.